"Open the door. It's your only way out." As soon as I turned the last page of this novel I had to question (once again) the publisher's decision to a) change the title and b) come up with a dustjacket blurb that hardly matches what goes in in this book. I'm afraid I don't understand either, since when all is said and done, the original Spanish title is much more reflective of the nature of what happens here and the blurb is sort of misleading re the story as a whole. I'm not surprised that so many readers were frustrated with this book, since they were expecting one thing and got something completely different. I bought this one based on the fact that it's a crime novel from Argentina more than for any other reason -- I love translated crime, and I especially like to try out the work from authors who are new to me. "...makes him a proposition: why not kill two deserving men before dying? The first target is a criminal, and the second is a man with terminal cancer, who, like Ted, wants to die." "after executing these kills, Ted will become someone else's next target, like a kind of suicidal daisy chain." It's an idea that Ted doesn't necessarily dismiss and he even goes as far to work out a plan but, of course, things don't exactly work out in the way he (or we) expected, diverging in a very, very big way. That bit of plot will come back much later, but in a hugely different fashion that allowed for an "aha" moment by the time I got there. I can't really go into too much detail here because saying pretty much anything would constitute a major spoiler and ruin the reading experience, but the point is that while we actively start with the blurb's premise in mind, it turns out that that's not really the story at all. 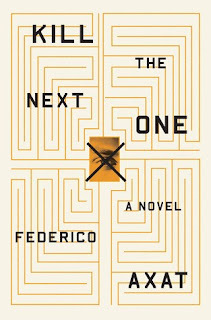 Kill the Next One messed with my head for quite a while, because it is one of those stories where things seem to make sense and yet they don't if you are reading carefully; things tend to move and change quickly here making it even more of a head scratcher. 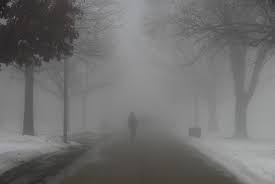 Even as things start to become a little clearer, it's like being in a gradually-lifting fog where you can sort of make out shapes but you know that your vision is still a bit distorted; it isn't until the very end that everything comes into focus. 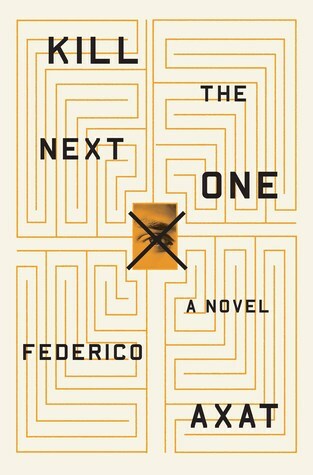 The enigmatic in any novel appeals to me; this book is like one giant puzzle where pieces are gradually filled in but there is still a lot of space on the table before the full picture emerges. It's neither a great nor perfect book by any means with character issues that crop up, lengthy, sometimes over-the-top scenes that could have been pared down quite a bit to give the story more punch, and it seems to me that there were still some things that could have been a bit more fleshed out (especially considering the real story underpinning everything here) but even with its issues, it has a sort of eerieness about it that made it a worthwhile, page-flipping, and entertaining read that I had trouble putting down. My advice to potential readers: don't look at reviews that give away the show because as you move away from the expected into deeper, darker territory, you really don't want to know beforehand what's coming at you -- it will totally ruin things. While I've seen it referred to as a thriller, it really moves into that territory only toward the end; before that though, it's much more in the psychological category, but even that may be saying too much about it. First things first: anyone who loves old mystery/crime novels should check out Valancourt Books -- they are my favorite small indie press and they specialize in obscure or forgotten titles, perfect for die-hard bookworms like me who prefer works published in the past. 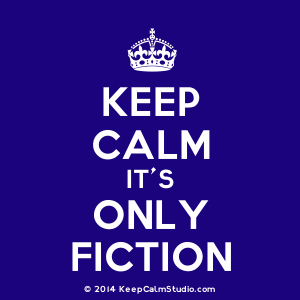 I'm very sure that other people don't get as worked up as I do about finding new old authors to read, but it's something that's quite meaningful to me so it's a big deal. So many male writers from this time period have names and work that have never been forgotten or have yet to lapse into obscurity, but that's not the case with a huge number of female writers, especially those whose work crosses into the crime/mystery area. Now on with the show -- I discovered Paul Ferroll while reading Kate Watson's Women Writing Crime Fiction 1860-1880. Watson notes that Paul Ferroll is "further evidence of women writers challenging convention and contributing to the nascent crime and detective genre." (23) Caroline Clive (1801-1873) was a British poet as well as novelist; she published her first book, a volume of religious essays in 1827 under the pseudonym of, oddly enough, Paul Ferroll. Her second book, a collection of poetry, was published in 1840 under the name of V.; Paul Ferroll was her first novel, followed by another (which I'll also talk about here) in 1860. As the Oxford Dictionary of National Biography tells us, accidents in 1860 and 1863 left her confined to a wheelchair before she suffered a stroke in 1865; two days after sustaining injuries from her dress catching on fire in her library, she died in 1873. "Despite Paul Ferroll's success, in writing a detective-less novel Clive was working against the trend. During the 1850s the sleuth would increasingly occupy the centre of the text." I found the character of Paul Ferroll to be pretty odious -- in modern parlance I thought he was a major jerk; but then again, I'm sure that Clive was leaving it to the reader to decide just what sort of person he is because every so often he has his moments of redemption, most especially toward the end of the novel. What starts out quite peacefully with a picture of the "calm loveliness" falling over the Ferroll country home of the Tower of Mainwarey is interrupted with Ferroll being summoned home with the news that "Your lady has been murdered," and indeed, she'd been found with her throat slit. By whom was never really discovered, since the gardener, Mr. Franks, who'd been accused of her death was acquitted. Ferroll gives Franks and his wife money to emigrate to Canada, after which Ferroll disappears for a "good while," only to return with new wife and "a little toddling child in tow." As Janet, the Ferroll's daughter, grows into young womanhood, Ferroll remains aloof from his neighbors, ignores his daughter and actually seems to resent her presence in his home; it often sounds like he would have preferred it to have been just he and his wife Elinor living together. Neglecting Janet doesn't necessarily mean that he steps out of her life; he steadfastly refuses to allow her to have a relationship with the one young man who idolizes her, and fails to accompany her to social gatherings. Ferroll is considered an upstanding member of the community to the point where even when he is found guilty of murder after shooting and killing one of the ringleaders of a worker's riot, he receives a pardon. Time passes while the family spends time in France, and things are going pretty well for the Ferrolls until Mrs. Franks decides to return from Canada and is found with some of his dead wife's jewelry, at which point things take a rather strange turn. For me, it turned out to be one of those stories where all you can do is to guess at the motivations behind the main character here, since right up until the last few pages, there is absolutely no clue as to why he does what he does. It's frustrating, but it pays off. 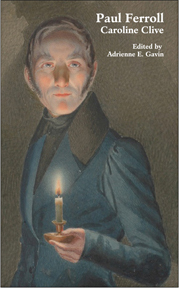 Clive, whom Sussex notes as being "sensitive to audience reaction," ended up writing a prequel to this book in 1860 that sets the scene prior to Ferroll's wife's murder. In doing so, Sussex believes (as do I) that Clive managed to retreat "from the apparent amorality" at the end of Paul Ferroll by offering an excuse as to why the first Mrs. Ferroll may have been killed. We know from Paul Ferroll that she was an awful person, but after having read the prequel, I can solemnly swear that the woman was a nasty piece of work, pulling out all the possible stops in order to have her way. I'm leaving the title of that particular book out of this post -- anyone who may be interested can find it through any of the links above, but beware -- all of the names have changed with only one exception -- and considering that Paul Ferroll's name appears in the title of that book, well, one would expect to find a character so named, but even his name has been changed. Don't let it throw you off -- while that book isn't nearly as well done as this one, it's still worth reading. My advice for anyone who may consider reading Paul Ferroll is not to read anything that gives away the complete plot of this story because really, the fun here is in getting to the end of the book. It's extremely tame in terms of modern-day crime reading, but once again, it was worthwhile because it was a good story and more importantly, because I've unearthed yet another author I'd never heard of before. Closing out my time in the 1840s I've come to the Penny Dreadful (aka "blood"), which started life in "eight-page, double-column installments," according to The Longman Companion to Victorian Fiction. This book, The String of Pearls, was, according to E.S. Turner in his Boys Will Be Boys, originally serialized by Edward Lloyd in 1840, but others have placed its origins in 1846, in Edward Lloyd's The People's Periodical and Family Library, where it lasted for eighteen installments. While authorship was attributed to Thomas Preskett Prest, there is some debate to who actually wrote it, which you can read about here in an article by Helen Smith or at the OUP Blog, in a post written by Robert Mack. Whatever its provenance, this book gave me some of the finest hours of pure reading pleasure. 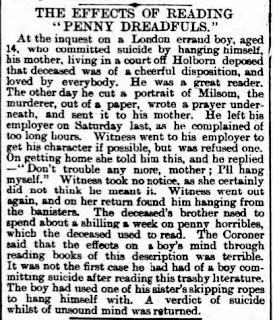 "the depraved quality of juvenile reading matter sparked off a middle-class moral panic." 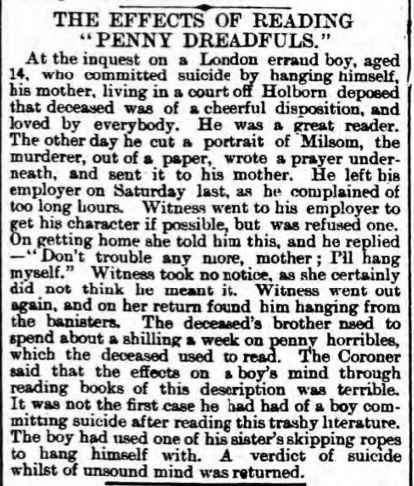 and in a post by writer Mimi Matthews, she also notes that the suicide of a 14 year-old was also blamed on the penny dreadful, on which he spent "about a shilling a week." This all makes for fascinating reading, as does the debate about the true authorship of this book, but it's the novel I need to get on with now. 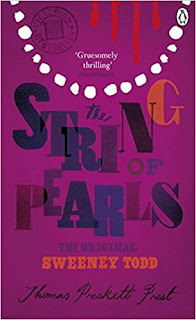 The String of Pearls is, as I said earlier, just plain fun, if a story about murders, cannibalism, and a demented barber floats your boat. It certainly did mine, not so much for those elements but more because there is an actual plot here in among the more gruesome parts. Set in London in the 1780s, the novel begins with a certain Captain Thornhill coming into Sweeney Todd's barber shop for a shave and never being seen again. All that remains is his dog, who refuses to leave the outside of the shop, still waiting for his master. Thornhill had been on his way to tell young Johanna Oakley that Mark Ingestrie, the man she loved, had been lost at sea; his other mission was to hand Johanna the string of pearls entrusted to his care by her now missing lover. One of Thornhill's friends, Colonel Jeffrey, notices the dog there, making him suspicious enough to want to get to the bottom of Thornhill's disappearance. For this he will need help, and it is the faithful, broken-hearted Johanna who steps up to the plate. However, as that particular plot is working itself out to its end, it's Sweeney Todd and what happens inside his barber shop that really takes center stage here. One particular storyline follows Tobias, his young shop assistant, who figures out what's going on after he gets the chance to search Todd's living quarters one day while his master was out. He realizes that Todd is up to no good when he discovers and recognizes a number hats and walking sticks belonging to Todd's victims; he would rat him out to the police except for the fact that Todd holds the threat of blackmail over him having to do with Tobias' mother. When Todd finally cottons onto the fact that Tobias is a liability, he sends him to an asylum where he'll be shut away for good, or worse. While all of this is going on and as Todd welcomes more customers to his lethal barber chair, there is, of course, Mrs. Lovett and her pie shop. Here's the thing. I read this book primarily as an example of the penny dreadful, and I have to say that looking for any sort of literary merit here is pretty much a waste of time. While it's a great example of what the working classes were reading, and while you can catch a lot of negativity among the poor for the upper classes and the use of mechanization throughout the story, it should probably be read just for fun. Storylines tend to be dropped as do a few characters here and there, and the major focus is actually on the bad guys in this book. It's melodrama pure and simple, delightfully gruesome, and as I said, it is a book that gave me hours of pleasure while reading. Just to be clear: I've seen the play, I've seen the 1936 film based on this book, and I've seen the BBC adaptation (which is also quite gruesome and should not be watched while eating lunch as I discovered), and this, the original, is as different from all of its adaptations as it can possibly be. So when readers complain that the play is better and the book did nothing for them, well, they're comparing apples and oranges. This book would be perfect for anyone looking for a good, old-fashioned escape read or a novel to relax with over the summer while at the beach or hanging out poolside. It goes very quickly despite its hefty length, and it's great fun. I started this book very late last night and actually tried to fight sleep to finish it, but alas, it was not to be and I had to wait until today to finish it. It's probably a good thing, since there is a sort of nightmarish aspect to the story as it comes down to the end. 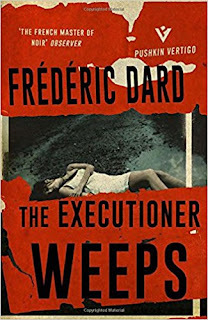 Frédéric Dard has to be one of the darkest writers whose work graces the pages of these reprints by Pushkin Vertigo, putting his novels squarely in my wheelhouse. I defy anyone who reads this book to not feel the slightest bit of adrenaline pumping through his or her veins while doing so -- by the end my guts were twisted in knots. Far from being any kind of whodunit, it falls more into the psychological zone; I've seen it described as a thriller, but I'm not sure that fits either. It's one of those novels where you just have a feeling in your bones that something terrible is coming down the pike so you brace yourself for it, but in my case, I don't think I prepared myself enough. Holy crap -- this is a good one! The beginning of the novel finds our narrator, French painter Daniel Mermet, at the Casa Patricio, a "very modest inn" not too far from Barcelona and located directly on the beach. It was, as he says, "The ideal place for a holiday." But then, driving along the road one night, a woman carrying a violin case "deliberately" throws herself at his car, and he hits her. He puts her in his car and returns to the inn, where a doctor is called; luckily, she wasn't injured too seriously. She didn't come out unscathed, though -- she cannot remember a thing about herself, especially what might have caused her to bolt out in front of his car, much less as to why she's in Spain. 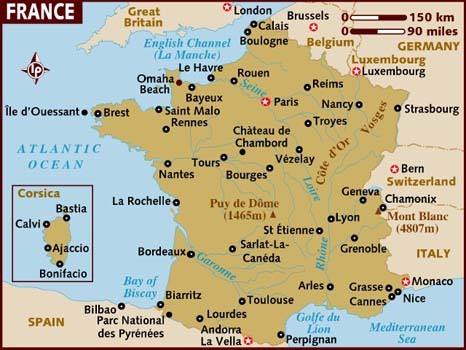 Mermet realizes that she speaks French, but the only clue to her identity is a handkerchief with the letter M on it and the labels in her clothes. 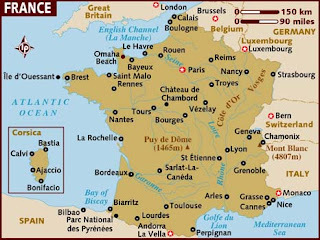 The M, after some time, leads her to think her name is Marianne, and Daniel tries to get help for her, by going to the French consulate but they don't seem too interested in her plight. One doctor he takes her to tells him that the bump on her head probably didn't cause her amnesia, but rather that she was either "already suffering from nervous problems," or "it was the shock of the accident" that may have triggered it. As the two spend more time together, they grow close and fall in love. She is something new for Daniel -- a woman completely without a past, which makes the love he feels for her even more special than it may have been in a "normal" situation. He is happy, she is happy, and he envisions a future with this woman, unable to picture himself without her. She can't envision herself without him now either, and extracts from him a certain promise (which I won't go into here but keep it in mind when you get to it) that lets him know how she feels. He's so into her that he doesn't really care if he ever finds out about her past -- at least that's what he says. "...I'm going to discover your identity because that is what we have to do"
because "officially", she must "become someone." But first he has to return to France. That is about all I'll say about this book, except for the fact that it's at this juncture where my pages started getting flipped with a vengeance, and where my house could have burned down while I was sitting on my sofa and I wouldn't have noticed. I'll also say that when Daniel tells us on page 100 that "Even Zola never dreamt up a story more sordid than this," he wasn't joking. It's interesting that Dard makes Daniel a painter, and that at the beginning just after he'd brought Marianne back to the Casa Patricio he spends a bit of time talking about the "canvas rectangle" where he rules "like an absolute master." A bit later he talks about the canvas as a "window from which the most disturbing metamorphoses may emerge," and given what happens in this story, it's a great metaphor that works nicely throughout the novel. 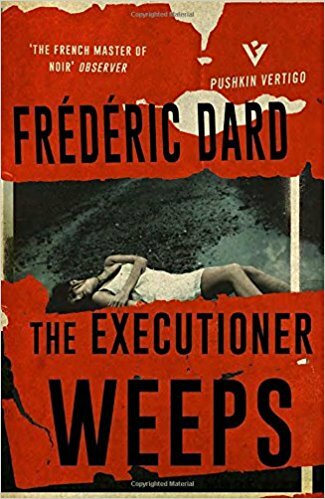 The Executioner Weeps can be read as a nerve-wracking tale of one man's journey into deepening despair and desperation, and you are there in Daniel's head as things become dark,darker, and move on into the territory of bleak before all is said and done -- making it my kind of read. Don't blow it off because it was written in the 1950s -- as tragic and dark as it is, this is a great story. I'm actually in between crime reads at the moment, having finished two Victorian crime novels (posts coming shortly), one of which has a prequel that was written five years later. Waiting for said prequel to arrive in the mail, I rummaged through my shelves for a light, modern read and stopped at this book by Fred Vargas, which is the ninth book to feature Commissaire Adamsberg and his motley crew of colleagues. While I've sort of lost my zeal for keeping up with crime/mystery series novels, there are still a few authors whose work I can't not read, and Vargas is one of those. I haven't missed a single one of these books; while sometimes I was less than enchanted (to put it mildly) with the turn toward the supernatural in some of her novels, I can't help myself -- it's the ensemble cast that is the real draw for me in these novels. It is the investigation of a suicide that starts this ball rolling; oddly enough, it doesn't take place in Adamsberg's patch, but rather that of Commissaire Bourlin in the 15th arrondissement. The police are ready to close the case, but Bourlin is still concerned about the dead woman's last message, a strange sign drawn by the side of Alice Gauthier's bathtub. He knows just the person to call to help him on the matter, Commandant Adrien Danglard of the Serious Crime Squad in the 13th arrondissement. Danglard is one of those people whose knowledge is astounding, so his choice isn't a bad one. Yet, as one of his colleagues reminds him, behind Danglard is Commisssaire Adamsberg, and sure enough it isn't too long before Adamsberg's curiosity gets the better of him. What starts out as a potential suicide explodes into a full-blown murder investigation when other bodies are discovered along with the same cryptic sign at the crime scene. And when a witness steps forward to reveal that she had posted a letter that had fallen out of the handbag of the now-dead Alice Gauthier, things take a strange turn, taking Adamsberg and his crew back in time to an ill-begotten and deadly expedition to a small island off the Icelandic coast. Hoping for some clue as to how the now three dead people may be connected, their photos are sent out to the world via social media and the press along with with a plea for information. While still following the Iceland lead, Adamsberg and his colleagues receive a letter from a certain François Chateau, who informs them that he recognizes all three as being members of an association of which he is president. 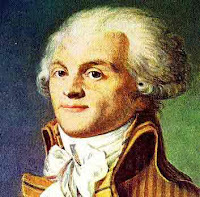 While one of Adamsberg's men calls it "a tank full of nutty fans of Robespierre and the French Revolution," the organization is actually called The Association for the Study of the Writings of Maximilien Robespierre. Chateau is concerned that a murderer may be "at large" in his association, and as much as possible, wants to help in any way he can. As the squad becomes more involved in this new development, Adamsberg develops a certain "itch," which leads to all kinds of complications involving his colleagues. Yes, there is a certain bit o' the supernatural vibe in this book, but luckily it's kept to a minimum here. While the investigation comes to a standstill, Adamsberg is facing a trial of his own as his colleagues start to become fed up with his sort of out-there methods. He's a man very much living in his head in this novel, and in order to satisfy his nagging "itch," he makes a decision that will set part of his own squad against him. 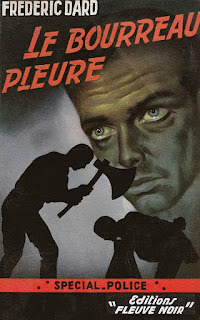 In this sense, and in terms of where Adamsberg is led as he desperately tries to untangle all of the knots in the case to ease his own mind, the original French title is much more on the money. I won't divulge anything, but the reasons why this is so become evident as the novel comes to a close. 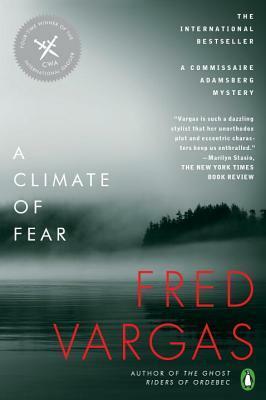 Climate of Fear isn't the best book of the series but it does follow the others nicely, and as I said, it doesn't overdo what I call the "woo-woo" element which I didn't care for in some of the previous Adamsberg novels. There are plenty of red herrings, two bizarre plotlines, and of course, the characters in Adamsberg's ensemble (not to mention the woman with the pet boar named Marc), which when combined, make it another book that appeals to my need for offbeat and quirky tales. It's not great literature, nor is it likely to become a classic, but hey ... it IS summer and it's a good light read while trying to escape the sweltering summer heat. Do not let A Climate of Fear be your introduction to this series of novels -- there are things here that will not be understood (and become the cause of reader complaints because some people did start with this book) unless you've started from the beginning with The Chalk Circle Man. While I've given away tons of crime novels to make room for more, the Adamsberg series has stayed on the shelves. Obviously, that says a lot -- there's a reason I keep reading them.